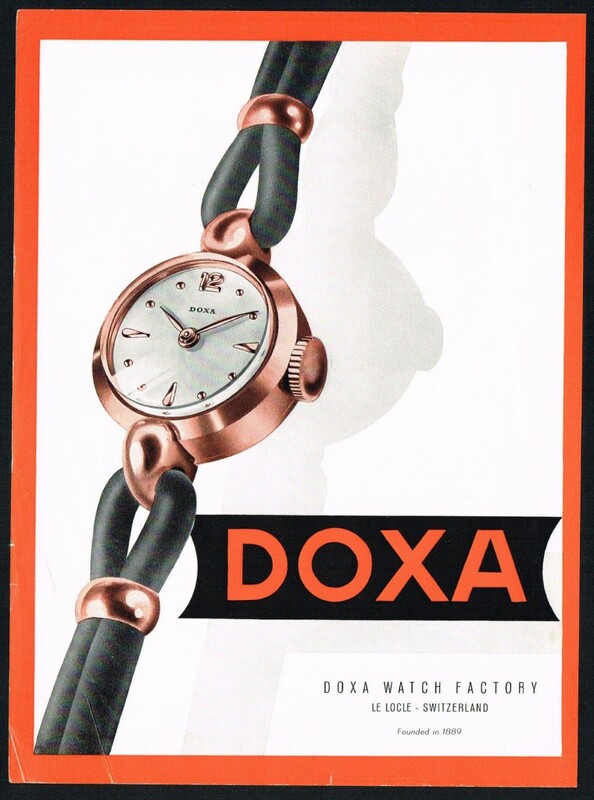 Colorful 1953 ladies’ Doxa ad featuring a cocktail watch with rope band. 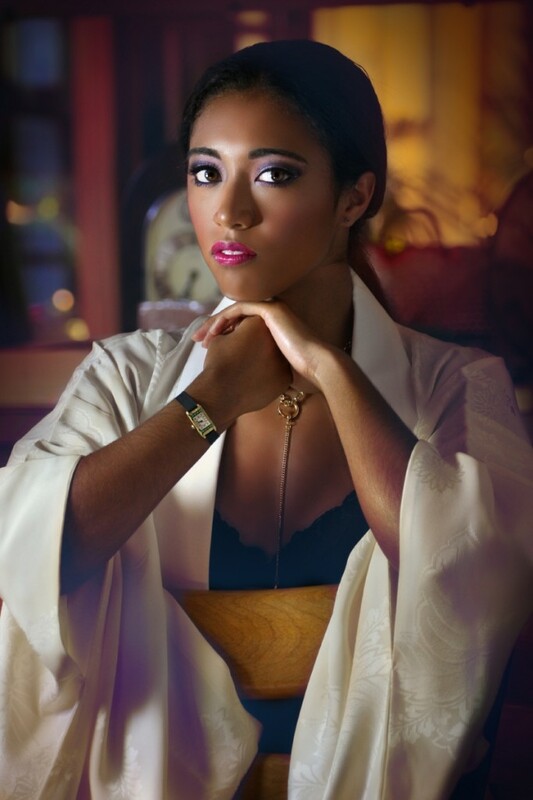 “Eyes on the Time” by Rossie Newson for Strickland Vintage Watches, January 2015 Ybor shoot, featuring SVW Calendar Girl Erin Andie; MUAH by Clara Murrg. Special thanks to Christine Cowart and Donna Strickland — at Ybor City Historic District. 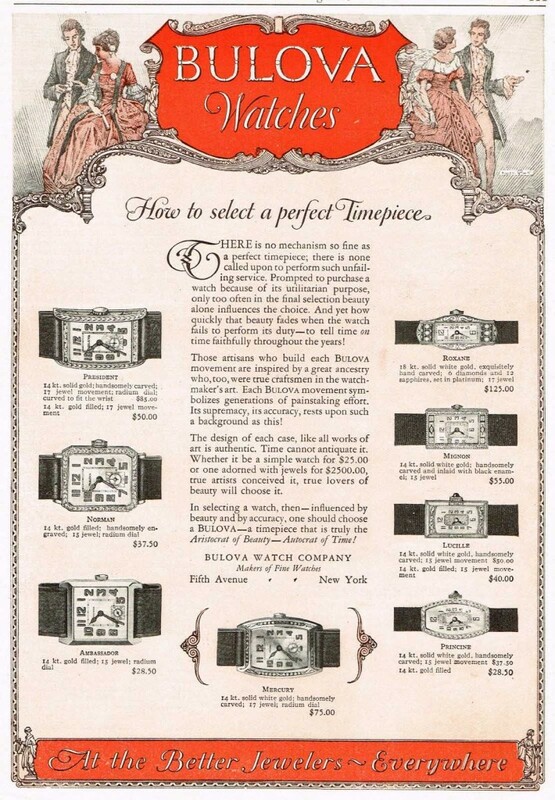 Wonderful 1946 Leonidas Watch Co. advertisement featuring a moon phase calendar wristwatch. The company was founded in 1941 by Julien Bourquin in St. Imier, Italy. 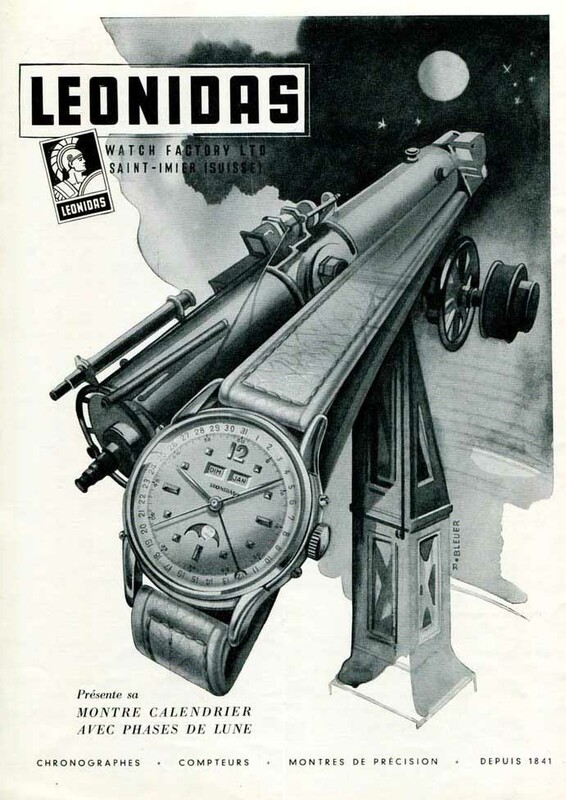 Leonidas produced high-quality complicated wristwatches and pocketwatches containing such complications as a moon phase indicator, a triple calendar and a chronograph.